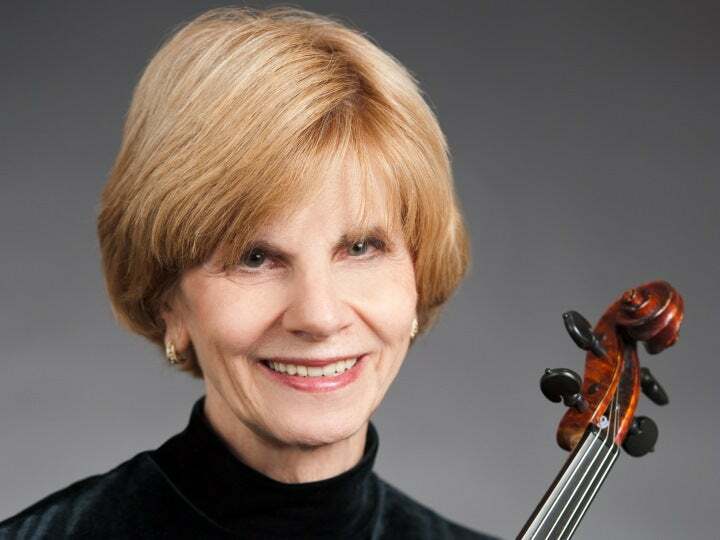 New Jersey Symphony Orchestra violist LUCY CORWIN has been a member of the NJSO since 1989. While living in Rome, Italy, she was principal violist of l’Orchestra dell’Accademia Santa Cecilia. She has also been principal violist and soloist with the New York Pro Arte Chamber Orchestra, Brooklyn Chamber Orchestra and Staten Island Symphony. Corwin has played with the New York Philharmonic, touring with them throughout Europe, Asia and South America. An active chamber music performer and teacher, she is a member of the Viva Voce String Quartet and is on the faculty of Wagner College. 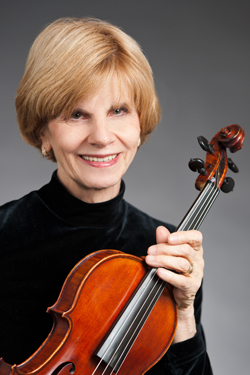 She has coached both violin sections of the Greater Newark Youth Orchestra, and she conducted them when they performed on the steps of the Capitol Building in Washington, D.C.
Corwin holds a Ph.D. in musicology from the Graduate Center of the City University of New York. She received a Bachelor of Arts degree from Barnard College and a master’s degree from Columbia University. Corwin and her husband, James, live in Staten Island, New York, where she is a cantor at her church, Our Lady Queen of Peace. They have three children—Susanna, Kenneth and Henry—and are the proud grandparents of eight.